*****This awesome new Swift GL Plus has just arrived and ready to go. Absolute safety with AdaptiveCruise control, DSBS (Dual Sensor Brake Support) System, Lane departure warning and lane swerve alert and is also standard with an awesome reverse camera, factory installed satellite navigation, alloywheels and fog lights; this car is unbelievable value for money. Come in today and drive this fantastic new model swift and you won?t be disappointed. Live life in the Swift lane! The awesome new swiftier Swift is here and ready to go. With all an all new body design, engine and transmission options this amazing car is now even better than ever. Available in the range are 2 different engines and3 different transmissions so there is loads of choice. Swifts distinctive style, bold new curves and muscular lines, it will stand out in the crowd for all the right reasons. Be one of the first to experience just how good a car can be! This one come with touch screen audio, reverse camera, built in satellite navigation, alloy wheels and fog lights. With the Suzuki 5 year capped servicing and ourfamous Cricks 6 year warranty this car just can?tget any better! Call us today and find out why this car is so good and how good buying a car from Cricks Suzuki truly is! Call us today before you miss out! 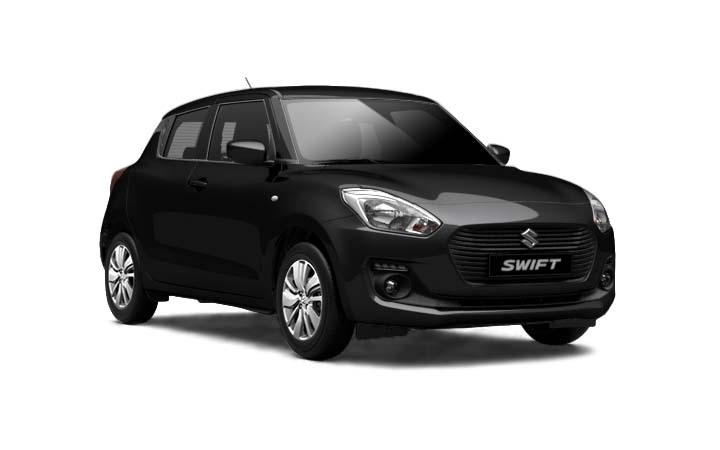 I'm interested in a New 2018 Suzuki Swift GL + (stock #S4913).